Food Adventures of a Comfort Cook: Dessert Salads Go Green – Part Three. Dessert Salads Go Green – Part Three. 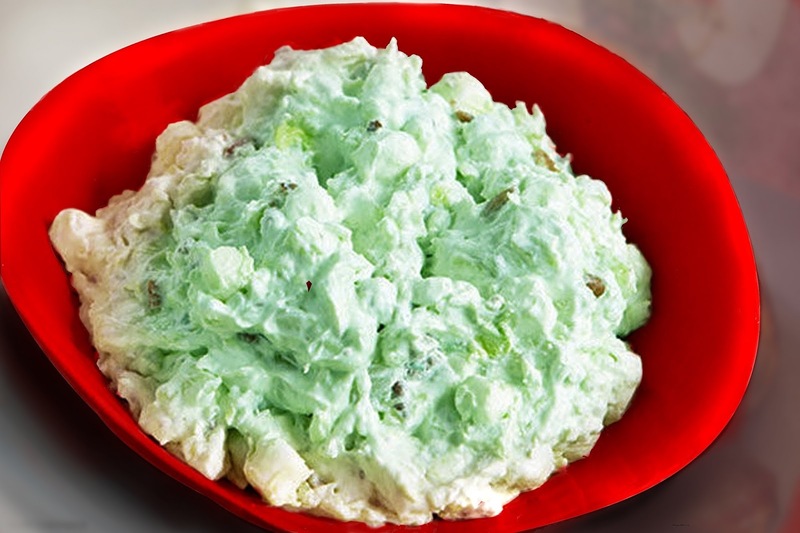 “Watergate Salad”, however, has rather an obscure pedigree; with a humble beginning of Ambrosia and the addition of chopped pistachio nuts; creating Pistachio Salad. In 1975, Kraft Foods offered consumers a new flavor in the Jell-O pudding line, pistachio; a recipe for Pistachio Pineapple Delight appeared on the box. This dessert salad picked up names, along its United States journey, such as Pistachio Delight, Shut the Gate Salad, Green Goop, Green Fluff or Green Stuff. 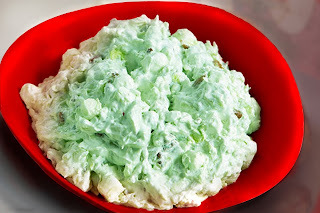 It was not until The Denver Post, in the Empire Magazine of June 27, 1976, published a recipe for Watergate Salad; stating that the recipe was developed by a sous chef at the Watergate Hotel in Washington, D.C. When scandal hit the White House, and President Richard Nixon, the recipe took off like wildfire. 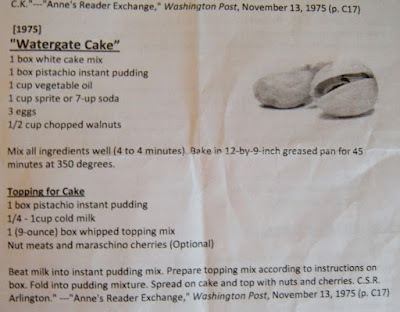 At the same time, a Watergate Cake was developed with “cover-up icing and full of nuts”; along with other satirically named recipes such as Nixon's Perfectly Clear Consommé and Liddy's Clam-Up Chowder. Kraft even changed the name on the pistachio pudding box to Watergate Salad to keep up with the presidential scandal. Perusing through my Utah based cookbooks, lime Jell-O made many an appearance in recipes; pudding, not so much. Even the use of pistachios was kept to the more garden type salads, or as a main ingredient for salad dressing. 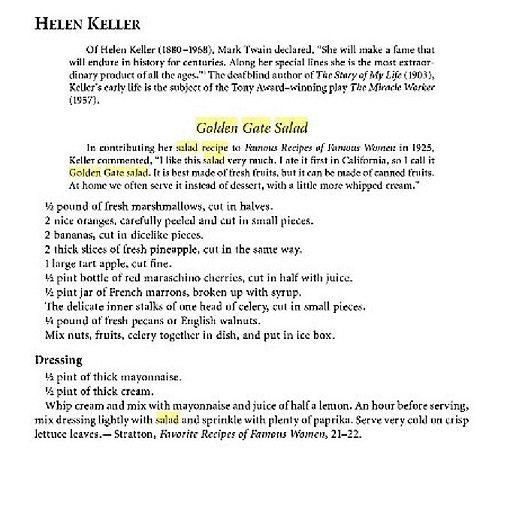 Various bloggers, from Utah, mentioned family reunions in which Pistachio Salad was present; the recipes being variations of the original Jell-O pudding recipe. Does that mean Utahns aren’t cracked up about pistachios? Au-contraire! Located in Hurricane, Utah, Red Rock Ranch Pistachio Orchards (http://rpistachios.com/) has been producing a unique variety of pistachios for over ten years. The dry climate of the desert gives the nuts sweeter flavor and greener coloring; while high in fat, they are low in carbohydrates. 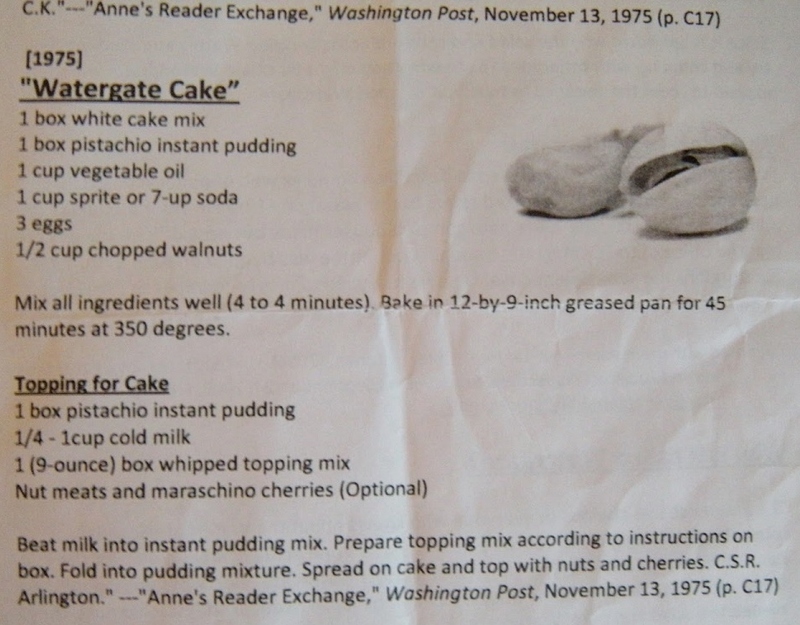 Here is the original recipe for Pistachio Pineapple Delight (1975), later renamed as Watergate Salad (1976). Combine Ingredients. Refrigerate 1 hour. Makes 8 – about ½ cups servings each.